I wrote a post recently that went quite deep into my health situation and what I have been going through in relation to that. I’ve been making sure that I have been taking care and being kind to myself. This got me thinking about the rest of my family and their health – particularly Henry. Living in a world of convenience making sure Henry is getting 100% of everything he needs is difficult and not guaranteed, so I wanted to introduce a child supplement into his diet. Henry has been trying Quattro3 +PS & Bio-Kult Infantis both supplements specifically for children. Choosing the right supplements is a minefield. 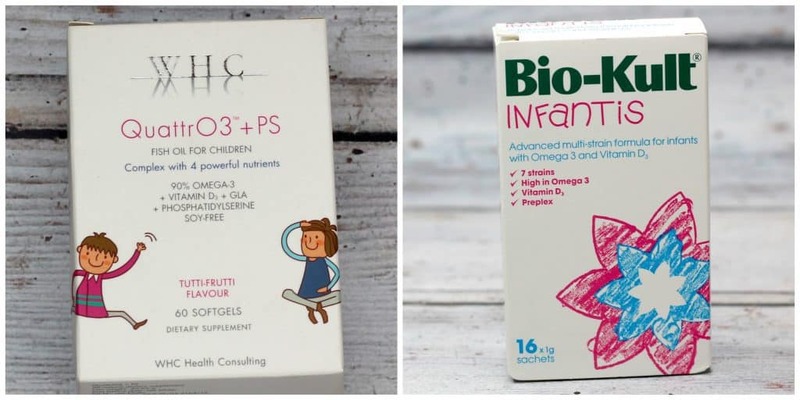 There are so many out on the market claiming to be the ‘best.’ When it comes to picking something for Henry finding a good quality but fair priced child supplement is important. I did my research and looked into what was on the market as well as reviews and opinions – particularly those of other Mums. Two supplements that really impressed me were Quattro3 +PS from Water for Health and Bio-Kult Infantis. It is recommended that where possible Adults and Children eat two portions of fish a week. Unfortunately we don’t eat a huge amount of fish in our household and we definitely don’t eat two portions a week. I really wish we enjoyed the taste of fish because I know how important and good for you Fish Oil and Omega-3 are. 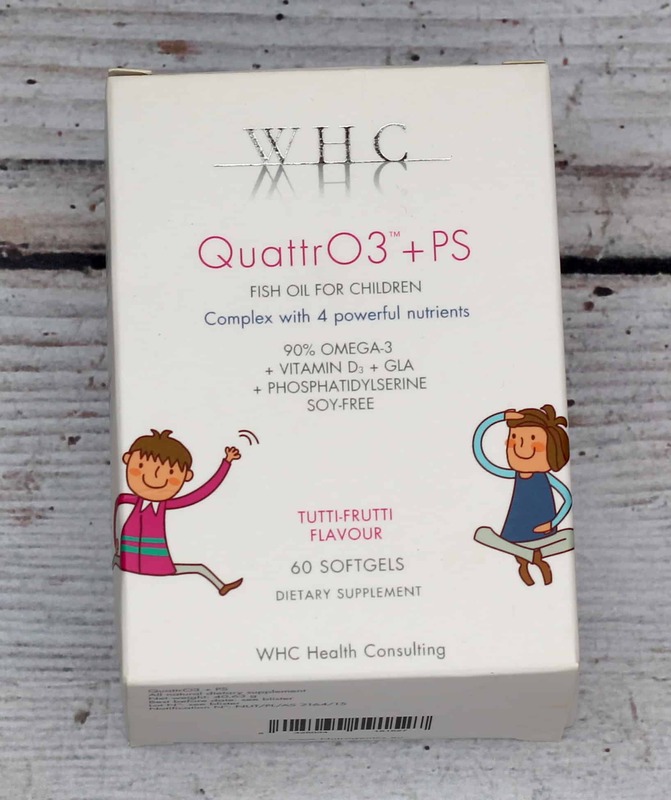 So I was really interested by the Quattro3 +PS child supplement because it contains a high concentration of Omega-3 Fish Oil that is also sourced from sustainable fisheries and not from endangered species. It also contains 400 i.u. of Vitamin D3 which, living in Manchester is essential in a child supplement as we don’t get much vitamin D from the sun! Vitamin D contributes to bone development and growth as well as helping keep teeth healthy and aiding muscle function. 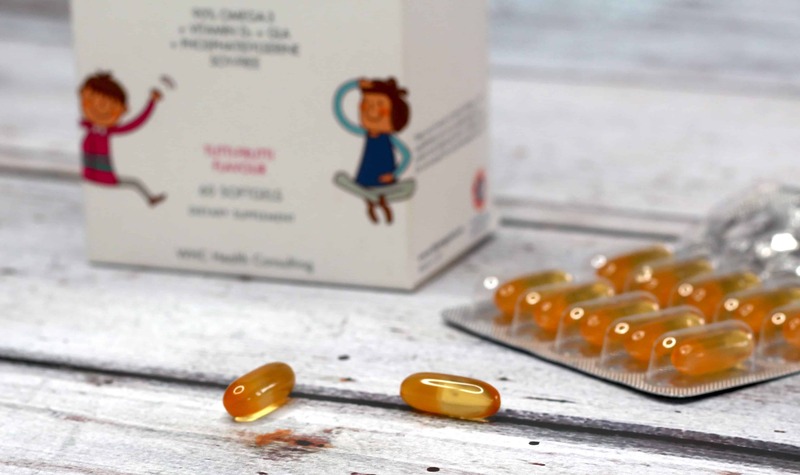 The supplement is in an easy to swallow, tutti-fruiti flavoured soft gel capsule suitable for children from 3 years to 14 years. 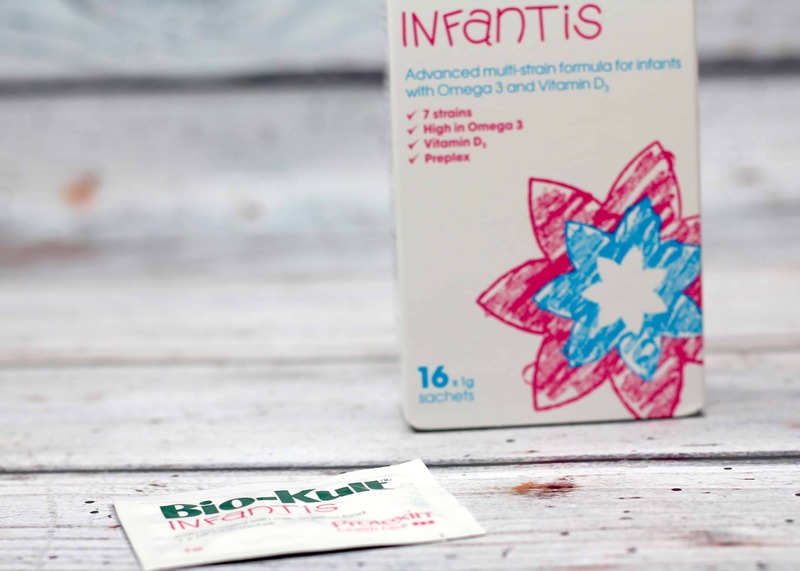 Bio-Kult Infantis comes in a sachet form that you mix with water, milk or food. Each sachet contains a minimum of 1 billion microorganisms all of which are balanced throughout the shelf life of the product! Bio-Kult Infantis is also high in Omega-3 and Vitamin D3 but also contains 7 strains of live probiotic bacteria and the prebiotic Preplex designed to aid a balanced gut. 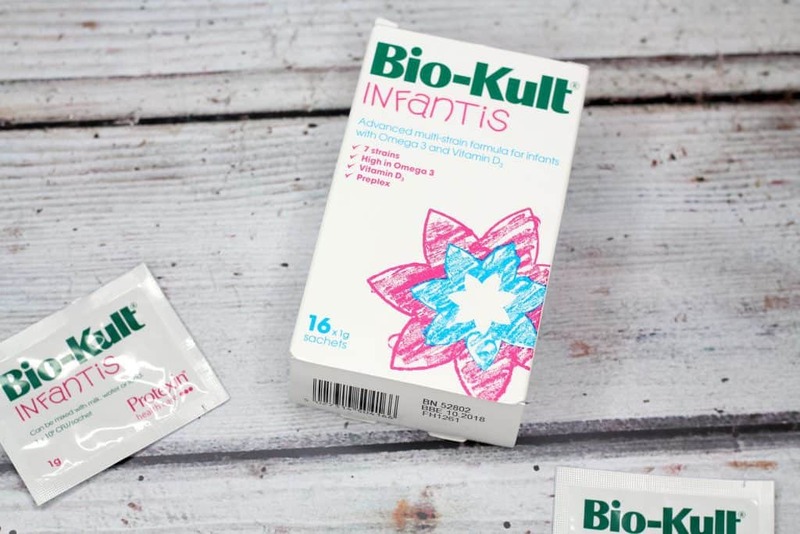 Bio-Kult Infantis helps promote a healthy balanced gut which can help avoid certain conditions such as allergies, eczema, hay fever, food intolerance, diarrhoea and colic. I was extremely impressed by the quality of the ingredients in this child supplement. It’s important to me that the Fish Oil used is responsibly sourced and high quality. The added bonus of having high levels of Vitamin D was a huge benefit too because it was all contained in one convenient capsule. It’s great that these supplements are beneficial right up to 14 years too! 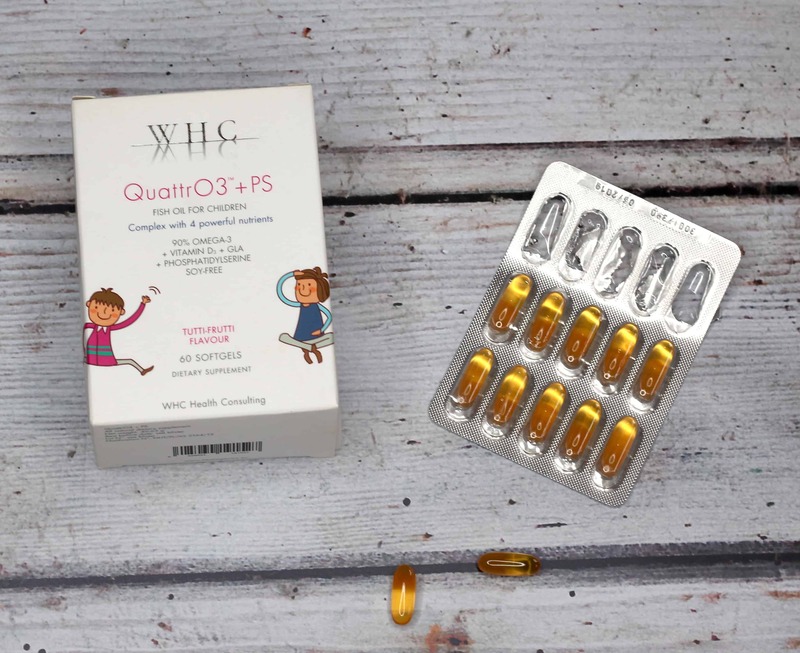 One issue with Quattro3 +PS is that the supplement comes in a capsule form that requires swallowing. As this is from age 3 years I can imagine this would be quite difficult and at first Henry struggled. You can open the capsule and mix with food or drink but Henry is already a fussy eater and measuring whether he consumed the supplement would be more difficult. However now that Henry has the hang of swallowing the supplement it really isn’t an issue for us. I was really impressed that this child supplement is useful for babies and can even help avoid conditions such as colic! I have been taking a probiotic but never thought about the benefits for Henry so the fact that we can now incorporate this into his diet is extremely reassuring. It’s important to keep our gut healthy for an abundance of health reasons so it makes sense to start this young! The presence of the Omega- 3 and Vitamin D was also a huge benefit! As this supplement comes in a sachet form that you make up with water or milk it is easy for Henry to consume and he really enjoys the taste. This makes the whole process much easier. There are so many child supplements on the market ranging in price dramatically. It’s important to have a supplements that is affordable but also high quality. There is no point in taking a supplement that is full of low quality ingredients. Quattro3 +PS is £23.75 for 60 capsules and can be purchased here. 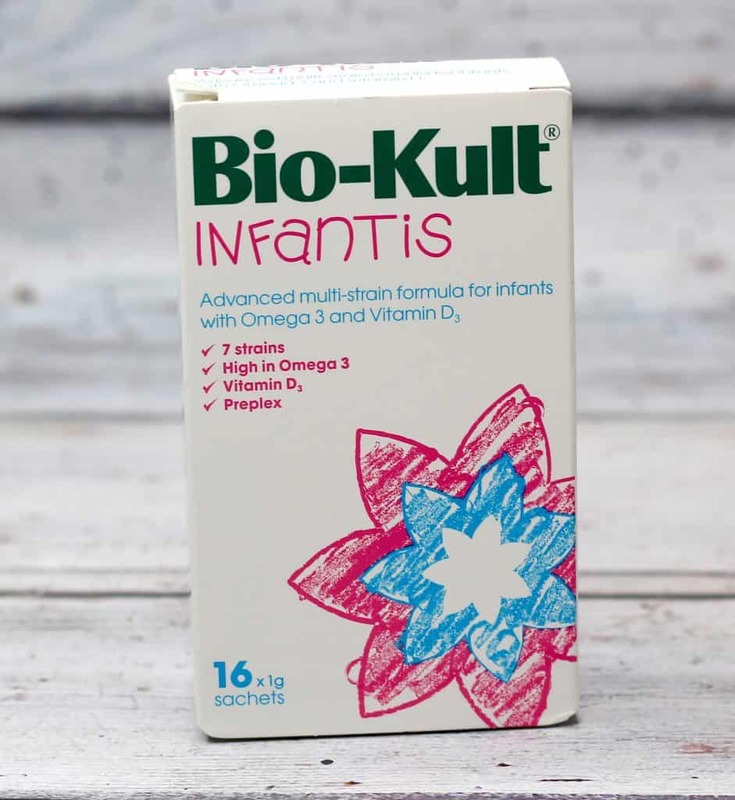 Bio-Kult Infantis is £11.95 for 16 sachets and can be purchased here. *I was sent both the Quattro3 +PS &Bio-Kult Infantis on a gifting basis in return for an honest review. As always all words, opinions and views are my own. For more information on any of this please head over to this page. Before introducing supplements into your child’s diet make sure to read the label fully and speak to a medical professional to obtain advice. This post is in no way a substitute for a medical opinion.